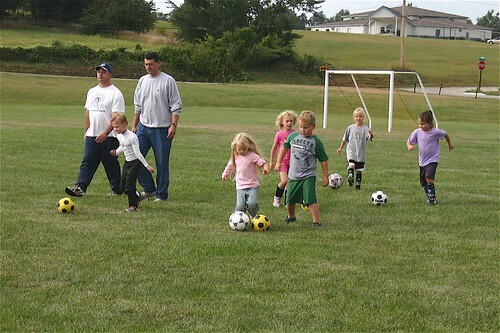 Furr Family Four: Soccer Time! IMG_9981.JPG, originally uploaded by jodifurr. Ani is playing soccer this year. Of course, she is the littlest one on the field. She is the best dressed one too. We tried to tell her to wear, shorts, T-shirt, but she thought what she had on what better! She is a girl through and through!